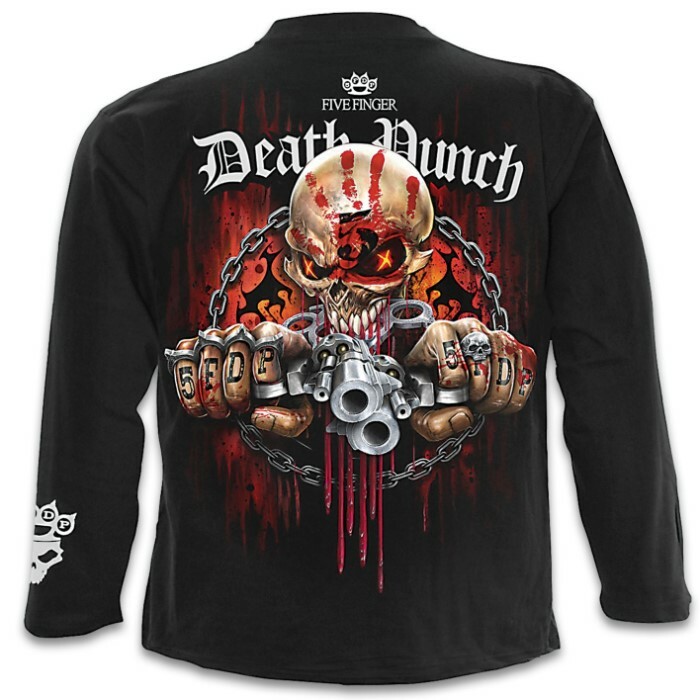 5FDP Assassin Black Long-Sleeve T-Shirt - Original Artwork, Front And Back, Jersey Material, Skin Friendly Dyes | BUDK.com - Knives & Swords At The Lowest Prices! Two iconic behemoths collide - classic Assassin artwork reimagined in collaboration with the mighty Five Finger Death Punch to create a brutal mutation that fans of both Spiral and 5FDP will relish. Make your aim fast and true, brother, those bullets rain down from places unseen! The original artwork is printed on high quality jersey material using skin-friendly, Azo-free reactive dyes. 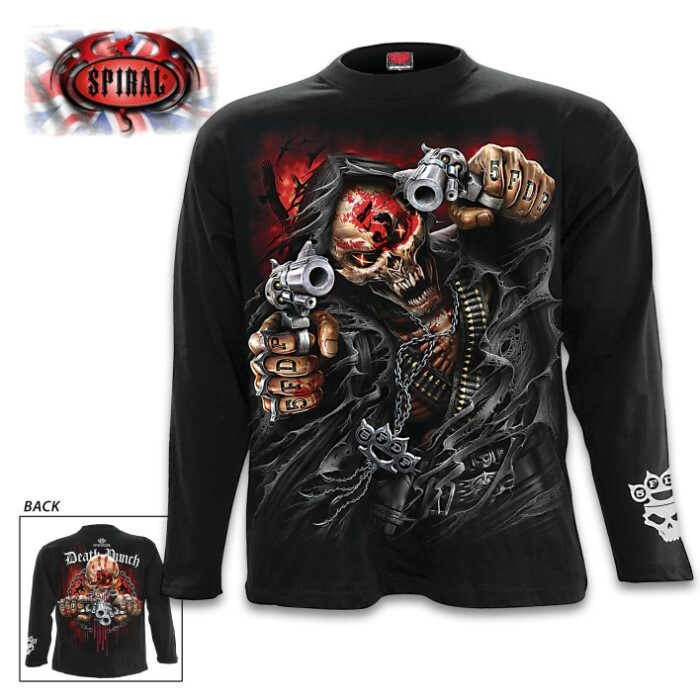 Add this officially licensed long-sleeved t-shirt to your closet and you’ll find yourself wearing it all the time!